So, if the question is no longer, “Can we?” maybe church leaders need to ask an even bigger question, “Should we?” Maybe a few questions can help. Question 1 – Why do we want to stream our services? Any wise church leader knows to ask this question first. No matter how little energy anything requires, everything you do requires resources. So, if the answer to this question sounds fishy to you like “Because everyone else is streaming,” consider passing on this opportunity and invest elsewhere. But, if the answer syncs up with the mission of your church, read on. Question 2 – Do we have the right equipment and people to do this well? As easy as it might be to stream in some way, you could actually do more harm if you don’t do this well. This expression of your church in cyberspace might well be the only impression some people will see – of you and more importantly, of the Gospel. Don’t forget, there is one thing that is actually worse than not streaming at all – and that is doing a poor job streaming your services. Mixing sound for any kind of broadcast is complicated (a topic for a future blog). If you don’t have the resources or the expertise to properly address the visual and audio capabilities of your set up, consider not streaming until you do. Churches actually hurt their reach into the community if they stream something that doesn’t adequately represent the church or the Savior. Anything from a poorly mixed audio feed during the music and preaching to inadequate lighting and staging can do more harm than good. I see a lot of streamed services. Some of them from great churches are painful to watch because they are so poorly done. Investigate and invest to do this well before jumping in. Train your team handling the technical details just as much as you would to equip your teachers to handle a small group class. Question 3 – Do we have the appropriate licenses to stream our music and other content? This is easier than it’s ever been and there are multiple options to do this well. If your church already has a CCLI license, you can start right there by investigating how to add a streaming license from CCLI. If you are already streaming, do a self-critique of your services and make sure what you are putting on the web adequately represents your ministry and our Savior. If it isn’t, consider pushing the pause button until you can improve or stream only the sermon content (something that is much easier to do well). 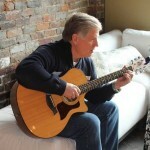 Then, invest in an adequate audio broadcast set-up (in addition to your live sound mix) designed for music broadcast. If you are only taking a single feed from your soundboard for your broadcast, I can tell you with confidence, you have problems with your mix in your music. 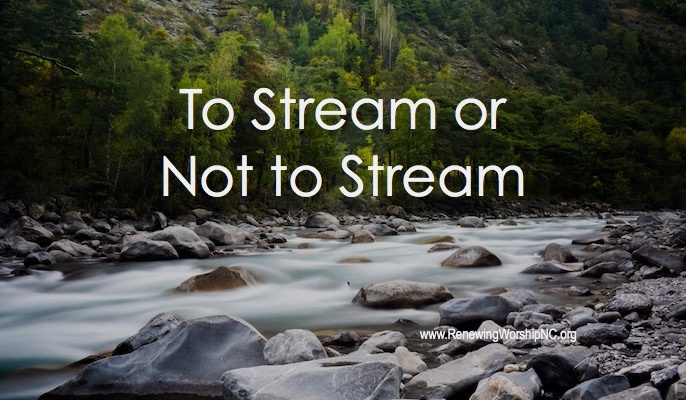 Streaming can be a great extension of the ministry of your church. If this is something you feel God leading you to do, spend the extra time and resources to do it well for the glory of the God and for the furtherance of the Gospel! Reposted with permission. This was originally posted at WorshipLife.com.